He received the degree of Mechanical Engineer (with highest honors) from the Stevens Institute of Technology, Hoboken, NJ, 1955; and his M.S. in Electrical Engineering and Ph.D. in Electrical Engineering and Physics, in 1957 and 1962, respectively, at the California Institute of Technology, Pasadena, CA. From 1955 to 1962 he was a member of the technical staff at the Hughes Aircraft Company, Culver City, California. In 1962, he joined the Electrical Engineering faculty at UC Berkeley. His initial research and teaching on the physics of integrated-circuit devices led to collaboration with Dr. Theodore I. Kamins of Hewlett-Packard Laboratories in writing Device Electronics for Integrated Circuits, first published by John Wiley & Sons in 1977, with a 2nd edition in 1986, and a 3rd edition appearing in 2002. 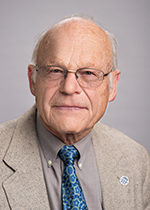 Dr. Muller changed his research focus in the late 1970s to the general area now known as microelectromechanical systems (MEMS), and he joined in 1986 with colleague Professor Richard M. White to found the Berkeley Sensor & Actuator Center (BSAC), an NSF/Industry/University Cooperative Research Center. He has been awarded: the NATO and Fulbright Research Fellowships; an Alexander von Humboldt Senior-Scientist Award; the UC Berkeley Citation (1994); the Stevens Institute of Technology Renaissance Award (1995); the Transducers Research Conference Career Achievement Award (1997), the IEEE Cledo Brunetti Award (with Roger T. Howe, 1998) and an IEEE Millennium Medal (2000). He is a member of the National Academy of Engineering, a Life Fellow of the IEEE, and has served as an IEEE Distinguished Lecturer. 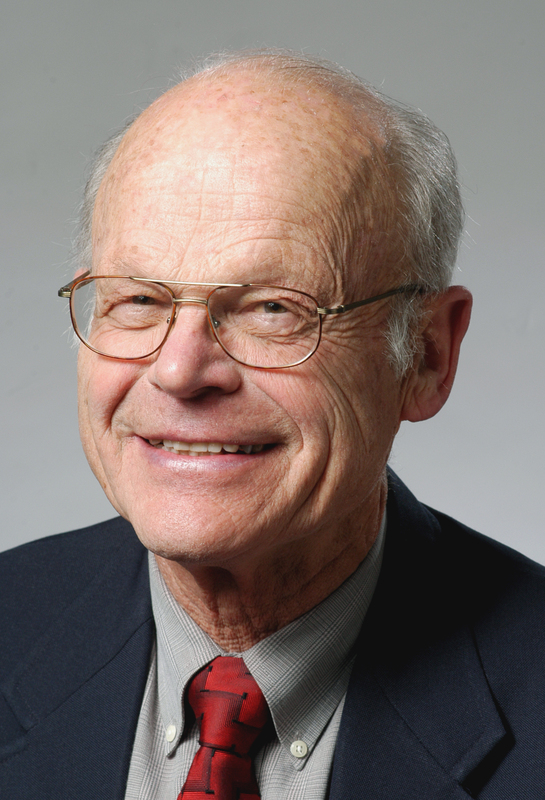 In 1990, he proposed to IEEE and ASME the creation of a MEMS technical journal, which began publication in 1991 as the IEEE/ASME Journal of Microelectromechanical Systems (IEEE/ASME JMEMS). Professor Muller is the author or co-author of more than 300 research papers and technical presentations and of 19 issued patents. R. Kant, D. Garmire, H. Coo, and R. S. Muller, "Characterization of an Improved, Real-Time MEMS-Based Phase-Shifting Interferometer," Optical MEMS and Nanophotonics, 2007 IEEE/LEOS International Conference on, pp. 57-58, Aug. 2007. R. S. Muller, "Plenty of Opportunity As Well As 'Room at the Bottom' -- Some Examples in Optical MEMS (Keynote Address)," in Proc. 4th Intl. Conf. on Networked Sensing Systems (INSS 2007), Piscataway, NJ: IEEE Press, 2007, pp. 1-1. H. Choo, D. Garmire, J. Demmel, and R. S. Muller, "Simple fabrication process for self-aligned, high-performance microscanners--Demonstrated use to generate a 2-D ablation pattern," J. Microelectromechanical Systems, vol. 16, no. 2, pp. 260-268, April 2007. H. Choo, D. Garmire, R. S. Muller, and J. Demmel, "CMOS-compatible high-performance microscanners, including structures, high-yield simplified fabrication methods, and applications," U.S. Patent Application. Feb. 2007. H. Choo and R. S. Muller, "Addressable microlens array to improve dynamic range of Shack-Hartmann sensors," J. Microelectromechanical Systems, vol. 15, no. 6, pp. 1555-1567, Dec. 2006. H. Choo and R. S. Muller, "Optical switch using frequency-based addressing in a microelectromechanical systems array," U.S. Patent Application. Nov. 2006. J. Kim, H. Choo, L. Lin, and R. S. Muller, "Microfabricated torsional actuators using self-aligned plastic deformation of silicon," J. Microelectromechanical Systems, vol. 15, no. 3, pp. 553-562, June 2006. R. S. Muller, T. I. Kamins, and M. Chan, Device Electronics for Integrated Circuits, 3rd ed., New York, NY: John Wiley and Sons, Inc., 2003. P. S. Riehl, K. L. Scott, R. S. Muller, R. T. Howe, and J. A. Yasaitis, "Electrostatic charge and field sensors based on micromechanical resonators," IEEE/ASME J. Microelectromechanical Systems, vol. 12, no. 5, pp. 577-589, Oct. 2003. H. Choo and R. S. Muller, "Optical properties of microlenses fabricated using hydrophobic effects and polymer-jet-printing technology," in Proc. 2003 IEEE/LEOS Intl. Conf. on Optical MEMS, Piscataway, NJ: IEEE Press, 2003, pp. 169-170. K. Gupta, H. Choo, H. Kim, and R. S. Muller, "Micromachined polarization beam splitters for the visible spectrum," in Proc. 2003 IEEE/LEOS Intl. Conf. on Optical MEMS, Piscataway, NJ: IEEE Press, 2003, pp. 171-172. P. A. Krulevitch, P. A. Bierden, T. Bifano, E. Carr, C. E. Dimas, H. Dyson, M. A. Helmbrecht, P. Kurczynski, R. S. Muller, S. S. Olivier, Y. Peter, B. Sadoulet, O. Solgaard, and E. Yang, "MOEMS spatial light modulator development at the center for adaptive optics," in Proc. SPIE: MOEMS and Miniaturized Systems III, J. H. Smith, Ed., Vol. 4983, Bellingham, WA: SPIE, 2003, pp. 227-234. U. Srinivasan, M. A. Helmbrecht, R. S. Muller, and R. T. Howe, "MEMS: Some self-assembly required," Optics & Photonics News, vol. 13, no. 11, pp. 20-56, Nov. 2002. C. Rembe, R. Kant, M. P. Young, and R. S. Muller, "Network-connected MEMS measuring system for high-speed data transfer to CAD and simulation tools," in Proc. SPIE: 5th Intl. Conf. on Vibration Measurements by Laser Techniques -- Advances and Applications, E. P. Tomasini, Ed., Vol. 4827, Bellingham, WA: SPIE, 2002, pp. 94-102. C. W. Chang, T. Budde, H. H. Gatzen, and R. S. Muller, "A magnetically actuated scanner for intravascular ultrasound imaging," in 2001 ASME Intl. Mechanical Engineering Congress and Exposition Technical Digest: Micro-Electro-Mechanical Systems (MEMS), New York, NY: ASME, 2001, pp. 799-804. R. A. Conant, J. T. Nee, K. Y. Lau, and R. S. Muller, "A flat high-frequency scanning micromirror," in Solid-State Sensor and Actuator Workshop Technical Digest, Cleveland, OH: TRF Press, 2000, pp. 6-9. J. M. Bustillo, R. T. Howe, and R. S. Muller, "Surface micromachining for microelectromechanical systems," Proc. IEEE, vol. 86, no. 8, pp. 1552-1574, Aug. 1998. M. Kiang, O. Solgaard, K. Y. Lau, and R. S. Muller, "Electrostatic combdrive-actuated micromirrors for laser-beam scanning and positioning," J. Microelectromechanical Systems, vol. 7, no. 1, pp. 27-37, March 1998. J. W. Judy and R. S. Muller, "Magnetically actuated, addressable microstructures," J. Microelectromechanical Systems, vol. 6, no. 3, pp. 249-256, Sep. 1997. L. Fan, Y. Tai, and R. S. Muller, "Integrated movable micromechanical structures for sensors and actuators," IEEE Trans. Electron Devices, vol. 35, no. 6, pp. 724-730, June 1988.